We invite you to celebrate Valentine's Day by treating your sweetheart to a delicious meal at Rafns' Restaurant. 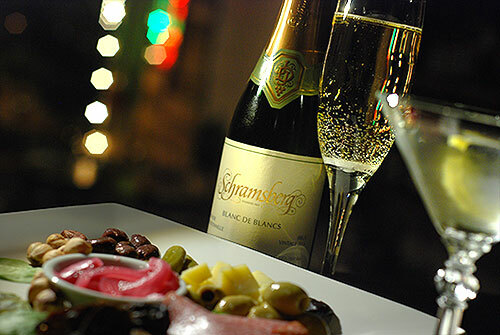 We plan to serve a 4-course prix fixe menu, plus a few Valentine's Day-themed wines and cocktails! Seating is available 4:30-9:30pm on Valentine's Day, Wednesday, February 14th. Please view the menu below. Call 503-580-2936 to secure your reservation. We're already filling up fast! We look forward to serving you. Happy Valentine's Day! Mary's free-range chicken, gently poached and served in a Sherry-cream and mushroom sauce, served with orzo pasta Parmigiano and organic arugula "frittata"
McK Ranch dry-aged beef tenderloin, napped with a delectable pan jus and topped with our bacon "duxelles", served with orzo pasta Parmigiano and organic arugula "frittata"
fresh Canadian salmon, baked and garnished with capers and sweet red peppers, served with orzo pasta Parmigiano and organic arugula "frittata"
Amarena Cherry Cheesecake | Chocolate & Molasses Pie | Coconut "Creme Brulee"
Archive Coffee & Organic Hot Tea are complimentary this evening. Please Note: Due to the special nature of this menu, the following restrictions apply. We will have Gluten-Free, Vegetarian & Vegan options for this meal. However, all other substitutions are politely declined. $39 minimum food order per person. No split plates. Thank you for your understanding.